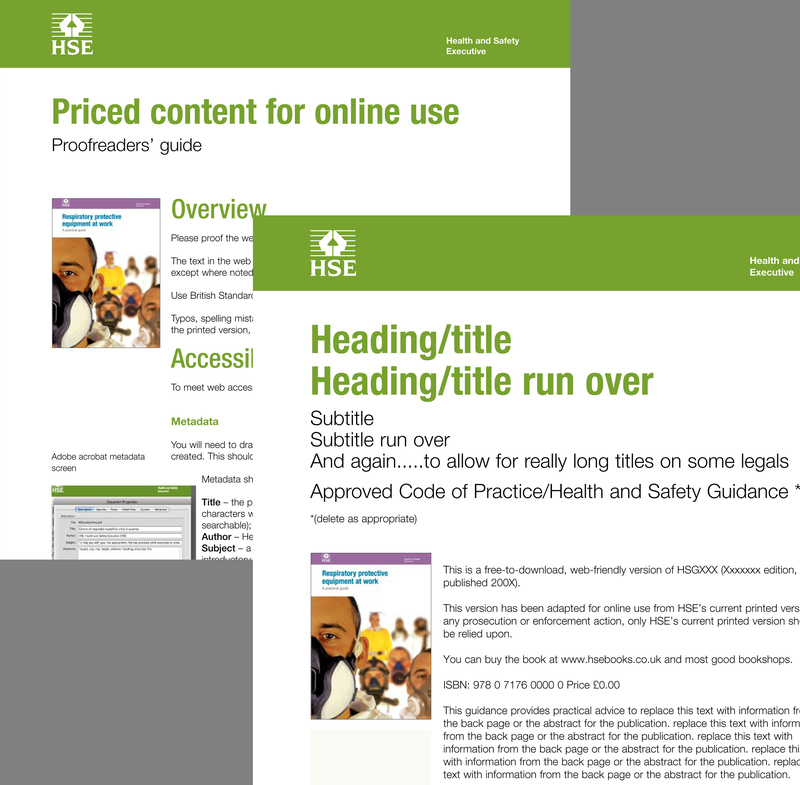 HSE’s decision to publish priced guidance online required over 200 titles to be converted to an accessible online format. Online documents had to precisely match the content of printed publications for legal purposes, be cost-effective to print, small enough to enable reasonable download speeds, and comply with Web Content Accessibility Guidelines (WCAG) 2.0. Documents would need to be created and edited by a mixture of HSE’s in-house staff and external freelancers to complete the project on time. 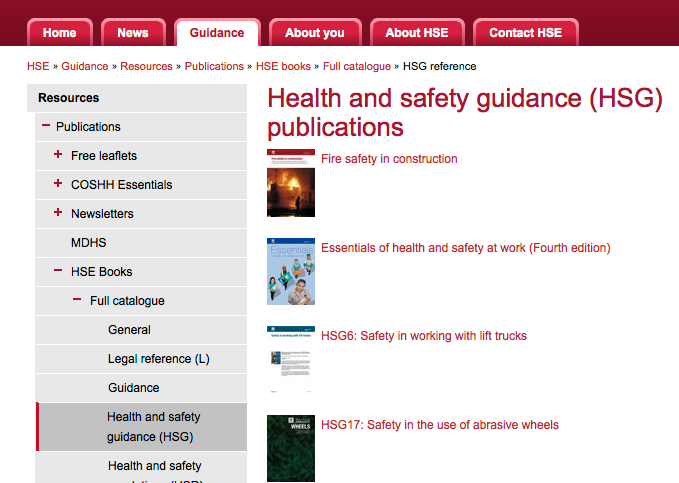 A project for the Health and Safety Executive that required research on the WCAG 2.0 guidelines and collaboration with HSE’s internal web team and a range of accessibility advisors, including AbilityNet and Sitemorse. Research concluded that html is the most accessible format, but the size of some of HSE’s publications made html impractical and it was concluded that pdf best fulfilled HSE’s criteria. I provided training, instruction documents, templates, pdf standards and export settings to acheive high levels of accessibility across all newly-produced pdfs. HSE’s design team used Quark Xpress almost exclusively in 2009. My InDesign templates included instructions for use as well as correctly set up style sheets, structure and tagging. These were tested for accessibility and I ran training and ongoing support for the designers on the project to ensure final documents that fulfilled HSE’s criteria for accessible web publications. As well as design templates, a proofreaders guide was produced in collaboration with the editorial team. The project was completed within the very tight timescales requested by the HSE Board. We achieved publication of the 100 most popular publications by September 2009, just four months after the project was first announced, with the remaining publications completed by the final deadline of 1 April 2010. (www.sitemorse.com/survey/index.html?t=3) and the award of an AbilityNet Accreditation (www.abilitynet.org.uk/certificate/HSE/).